Beef production is a key contributor to global warming. True or False. Overgrazing by cattle and other livestock causes soil erosion and desertification. True or False. Americans’ over-consumption of beef has played a big role in the obesity epidemic. True or False. I suspect that many conscientious eaters would answer each of those questions with a resounding, True! 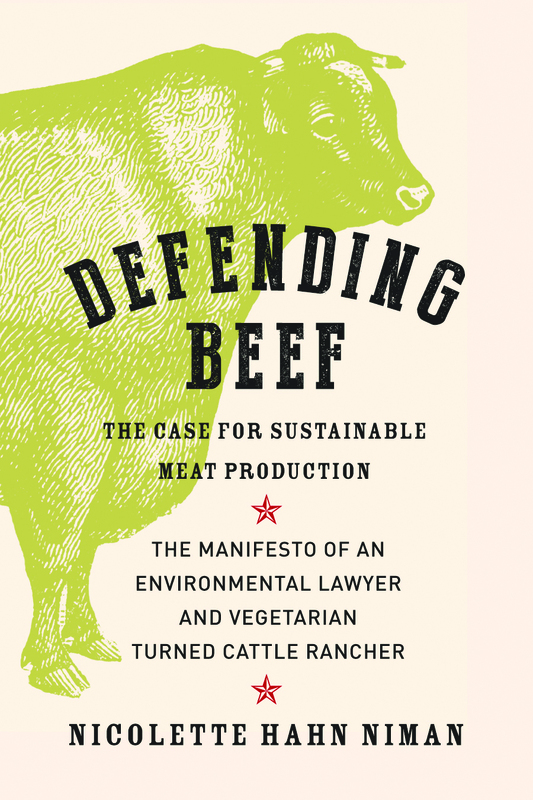 I know that I probably would have done so before I read Nicolette Hahn Niman’s recently released meat manifesto, Defending Beef. Now, I’m pretty sure the accepted anti-beef dogma is wrong—or at very least too simplistic. Perhaps it’s because I live in a New England state with far more rocky, sloping terrain than deep-soiled, flat land, but I have never fully subscribed the notion that raising ruminants is intrinsically wasteful and environmentally harmful. Cows grazing on grasses convert vegetation that humans cannot digest into nutrient-dense food and at the same time supply farmers with valuable organic fertilizer. 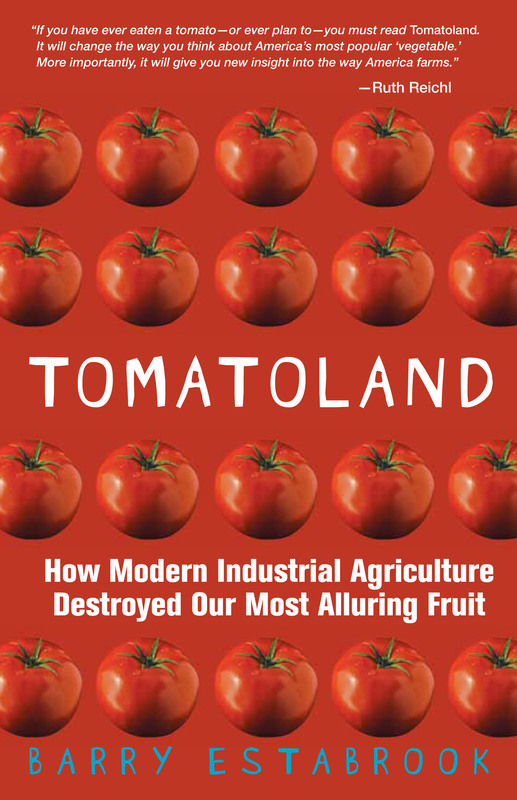 It’s a natural cycle that has worked for millennia and lies at the heart of organic farming. My own vegetable patch benefits mightily from annual contributions from my neighbor’s livestock. Niman, who was an environmental lawyer before becoming a rancher, agrees—and takes the argument one major step further. Large, grazing ruminants, she says, are critical to sequestering carbon in soils and enriching grasslands. They can play a role in curbing global warming. In her view, the accusations against beef only apply to meat from cattle that are raised in massive feedlots on unnatural diets of corn, a practice she decries with vehemence equal to that of any anti-beef crusader. Drawing from the work of ecologist Allan Savory and dozens of other scientists, Niman presents a convincing case that overgrazing is not the problem. The blame lies with improper grazing. Savory and his adherents advocate “holistic planned” grazing, an approach that mimics ruminants natural instinct to travel in dense herds, browsing everything edible in their paths, then quickly moving on to fresh pastures. Under Savory’s system, ranchers keep their animals in tight enclosures and move them regularly. The cattle’s manure acts as fertilizer; their sharp hooves “cultivate” the ground and embed grass seeds, and their browsing exposes young, fast-growing shoots to sunlight. Under this system, near-deserts have reverted to productive pastureland—and carbon that would have entered the atmosphere has been trapped in the process. The second major accusation against beef that Niman tackles is that it is wrecking Americans’ health. She argues that our consumption of beef has fallen even as rates of obesity, heart disease, and diabetes have risen. The real perps, she contends, are excessive sugars and carbohydrates, an argument laid out in detail earlier this year by Nina Teicholz in her book, The Big Fat Surprise. Niman’s contrarian positions might be easy to dismiss, but she backs up her contentions by citing hundreds of respected scientific books and journals. 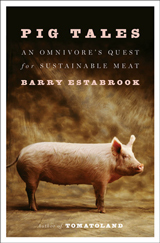 Her arguments won’t win everybody over, but she provides plenty of food for thought for omnivore and vegetarian alike. 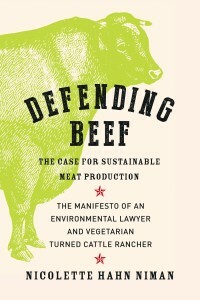 Please click here if you’d like to buy Defending Beef through Amazon. Disclosure: This site receives a commission on any books sold through this link. And before you bite into your next rib eye, you MUST take a look at these two photographs! « Will Obama Follow Doctors’ Orders to Protect American’s Health?